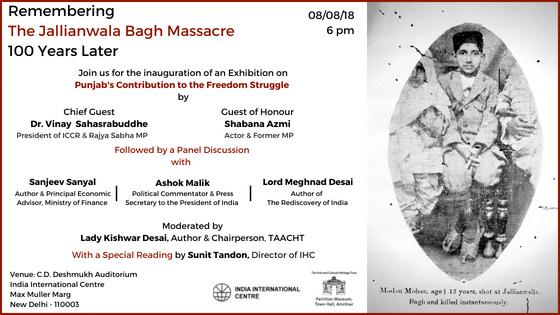 The Partition Museum and the India International Centre invite you to the inauguration of an Exhibition on Punjab’s Contribution to the Freedom Struggle by Chief Guest, Dr. Vinay Sahasrabuddhe, Rajya SabhaMP &President of ICCR and Shabana Azmi, Actor & Former MP on 8 August at IIC at 6 PM. The Exhibition will be followed by a Panel Discussion with Sanjeev Sanyal (Author & Principal Economic Advisor, Ministry of Finance), Ashok Malik (Political Commentator & Press Secretary to the President of India), and Lord Meghnad Desai (Author, The Rediscovery of India). The talk will be moderated by Lady Kishwar Desai (Author & Chairperson, The Arts and Cultural Heritage Trust) with a special reading by Sunit Tandon, Director of India Habitat Centre. The programme will begin with a dedication to the victims of the Jallianwala Bagh Massacre through a song and short readings. 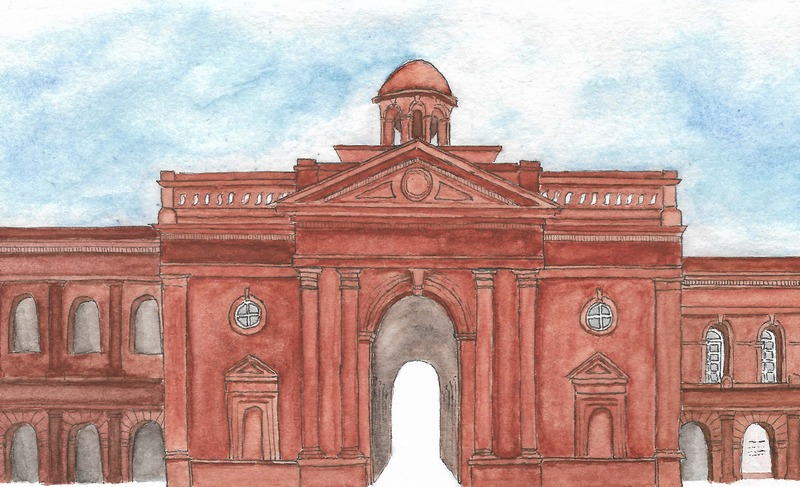 This is a curtain raiser exhibition for the main exhibition opening at The Partition Museum, Town Hall, Amritsar in August 2018.